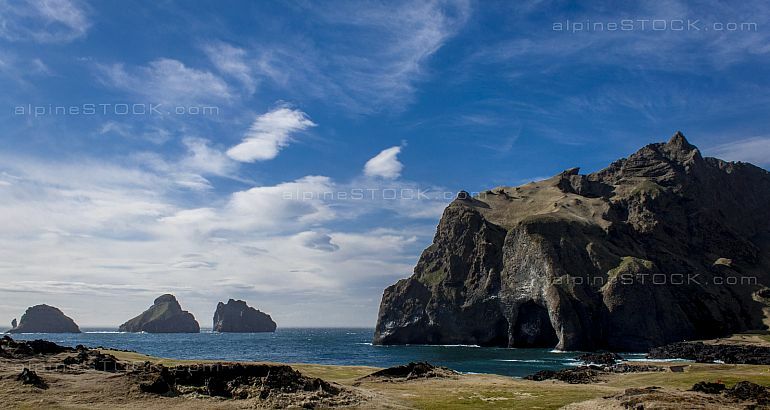 Description: South of Iceland lie the beautiful Westman Isles. These islands are pretty new, and are an ongoing construction project. This picture shows the islands golf course.